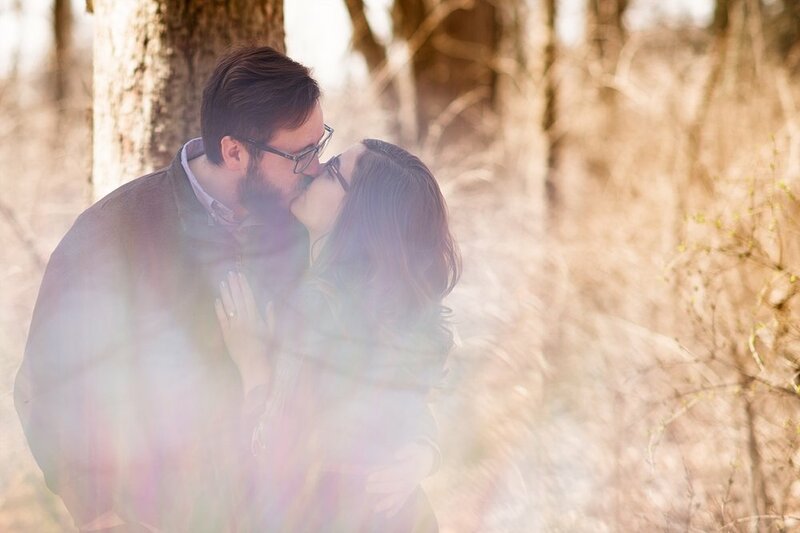 Sidney & Brian's Engagement Session — T.O.A.D. Sidney and Brian wanted a snowy engagement session but we never seemed to have a beautiful snow day this winter. When we finally decided to do our shoot, the spring hadn't sprung just yet and actually the night after our shoot we got a bit of snow. 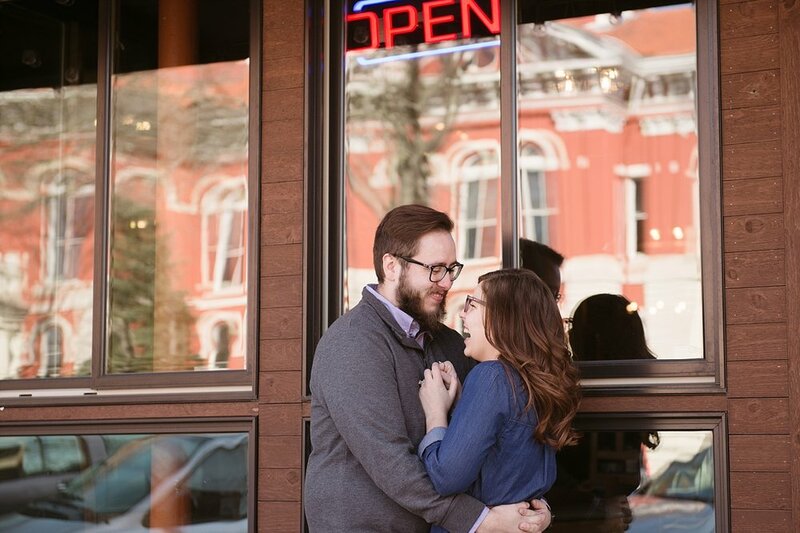 Sidney and Brian were so fun (and funny) during our engagement shoot that we spent as much time smiling as they did. They also spent a lot of smooching in between the giggling. We loved capturing both the romantic and fun side to these two. "I love him because he always makes me laugh. No matter what my day was like, or what is going on he can always put a smile on my face. I know that I can always count on him to be there and have my back no matter what." "I love her because we just clicked personally, the fact that we get along with each other so well plays a role, but the fact that she inspires me, and makes me want to be a better person, is one of the many reasons that I love her. She is my fiance, and my best friend. What's better than that?" It was a bit chilly during our shoot but those two know how to keep each other warm. We kept it casual and went around downtown Crown Point and to Sauerman Woods. Since we are experienced snow makers from other shoots we did, we made some and brought it along to play with. Honestly it was super fun and what is better than playing around being silly while having some good belly laughs. We love how candid our couples can be when expressing how they feel about each other. We as photographers long for that "real" moment when you can just see and feel the chemistry. It's what makes a photo come to life: that connection two people have. It's especially fun and light-hearted when a couple can't stop making each other giggle like these two. The joy is infectious. We have no doubt these two are made for each other and will have a great time skipping through life together. For now we can't wait for their wedding day! Sidney & Brian we hope you love the pictures! - Carmen & Jamie | T.O.A.D.